Have you been thinking about purchasing property that will give you a place to go for a weekend getaway along with a property that can be an investment? If the answer is yes, then you should consider Puerto Vallarta, Mexico. It doesn’t have to be complicated, unrealistic, or out of the range to own property in Puerto Vallarta, because it is a great investment and a fantastic weekend getaway. There are common concerns that may keep you from purchasing real estate in Puerto Vallarta such as the maintenance when you are not at the property or the traveling is a good distance from your main home, but don’t let these concerns keep you from purchasing Puerto Vallarta weekend getaway real estate. Did you know that if you are in the United States that there are direct flights from major cities such as Phoenix, San Diego, Laredo, Los Angeles, Houston, Dallas, and San Francisco that can get you to Puerto Vallarta within 1.5 to 3 hours? The traveling time to Puerto Vallarta is quick and convenient. Chicago, New York, Seattle, Toronto, and Vancouver cities may be just a tad longer away, but there are direct flights from these cities too, so you will have plenty of time to enjoy your weekend getaway. The Mexican citizens chooses Puerto Vallarta as their weekend getaway too. Many of the Guadalajara residents will drive 4.5 hours to get there while some will jump on the plane for the twenty minute flight to jump start their getaway weekend. Tijuana, Leon, Mexico City, Monterrey, and Queretaro cities also provide direct flights to Puerto Vallarta too! homeowners association with Garza Blanca makes sure that all the common spaces are always kept up, clean, and maintained. When you are gone you can choose the maid service to clean your home here too. You will be safe at Garza Blanca, because they take your safety seriously. The gated preserve at Garza Blanca has 24/7 monitored security, so you will be comfortable knowing your property is fully protected each hour and minute. Garza Blanca has also installed only the best locks on the doors and windows to increase the security for you. 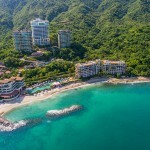 Puerto Vallarta real estate at Garza Blanca provides guests with a waterfront setting that is beautiful. This location and area is highly sought out after, which makes your home prime real estate that you can rent when you are not home. There are dining options for gourmet foods, a world class spa, several pools, and beachfront access with the property. You can hire a professional property manager to rent out the property or you can choose to have the resort take care of this for you. It is easy to see why Puerto Vallarta weekend getaway real estate is a great investment, but also a stunning place for you to use too.